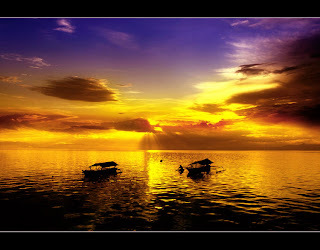 Ternate is an island and town in the Maluku Islands (Moluccas) of eastern Indonesia, located off the west coast of the larger island of Halmahera. 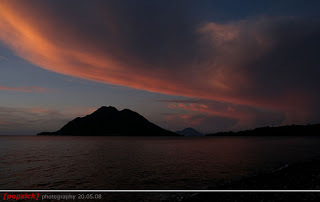 Like its neighbouring island, Tidore, Ternate is a visually dramatic cone-shaped island. The islands are ancient Islamic sultanates with a long history of bitter rivalry. 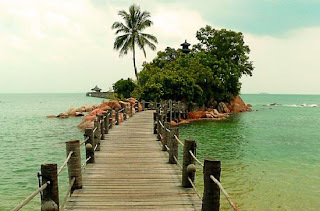 The islands were the world's single major producer of cloves, upon which their sultans became among the wealthiest and most powerful sultans in the Indonesian region. In the precolonial era, Ternate was the dominant political and economic power over most of the "Spice Islands" of Maluku. Today, Ternate is the largest town in the province of North Maluku, within which the island constitutes a municipality (kotamadya). 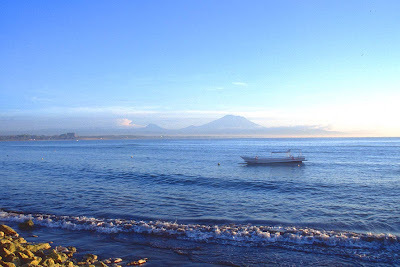 Ternate is dominated by the volcanic Mount Gamalama (1715 m). The volcano erupts regularly, covering the island with volcanic dust. 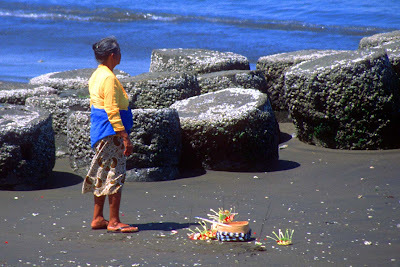 Major past eruptions of Gamalama include 1673, when a large, but undetermined number of people were killed, and 1772, when about twenty inhabitants died. 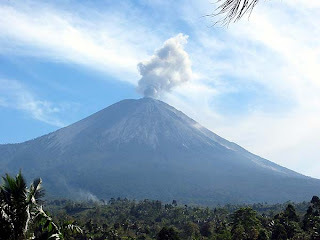 The largest recent eruption of Gamalama was in September 1980, when 30,000 of the islands 56,000 residents were forced to temporarily flee to nearby Tidore. The island now has an area of 76 square kilometres (29 square miles) and held a population estimated at 145,143 in July 2003. 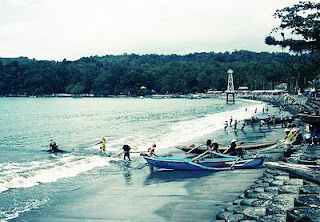 Greater Ternate City (Indonesian: Kota Ternate) spreads 10 kilometres from the airport to Bastiong port. The commercial centre stretches 2 kilometres from the bus terminal near Fort Oranye to Ahmad Yani Port where Pelni ships arrive.The current Sultan's Palace, built in 1796, is now partly a museum. The large Fort Oranye, built by the Dutch in 1607 on top of an undated Malay version, was the home of the Dutch East Indies Company until it moved to Batavia (Jakarta) around 1619. Ternate and neighbouring Tidore were the world's single major producer of cloves upon which their rulers became among the wealthiest and most powerful sultans in the Indonesian region. Much of their wealth, however, was wasted fighting each other. Up until the Dutch completed the colonization of Maluku in the 19th century, the sultans of Ternate ruled empires that claimed at least nominal influence as far as Ambon, Sulawesi and Papua.The peak of its power came near the end of the sixteenth century, under Sultan Baabullah, when it had influence over most of the eastern part of Sulawesi, the Ambon and Seram area, and parts of Papua. 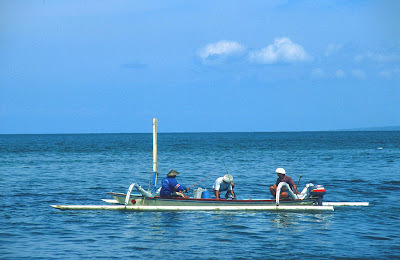 It frequently engaged in fierce competition for control of its periphery with the nearby sultanate of Tidore. 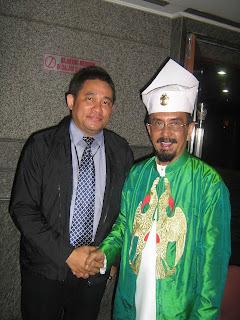 According to historian Leonard Andaya, Ternate's "dualistic" rivalry with Tidore is a dominant theme in the early history of the Maluku Islands. An outpost far from Europe generally only attracted the most desperate and avaricious, such that the generally poor behaviour of the Portuguese combined with feeble attempts at Christianisation, strained relations with Ternate's Muslim ruler.In 1535 King Tabariji was deposed and sent to Goa by the Portuguese. He converted to Christianity and changed his name to Dom Manuel. After being declared innocent of the charges against him he was sent back to reassume his throne however he died en route in Malacca in 1545. He had though bequeathed the island of Ambon to his Portuguese godfather Jordão de Freitas. Following the murder of Sultan Hairun at the hands of the Portuguese, the Ternateans expelled the Portuguese in 1575 after a five-year siege. 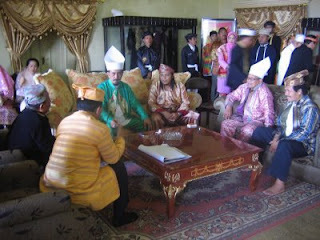 Ambon became the new centre for Portuguese activities in Maluku. 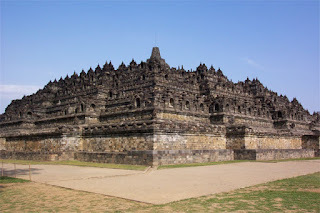 European power in the region was weak and Ternate became an expanding, fiercely Islamic and anti-Portuguese state under the rule of Sultan Baab Ullah (r. 1570 - 1583) and his son Sultan Said. Spanish forces captured the former Portuguese fort from the Ternatese in 1606, deported the Ternate Sultan and his entourage to Manila. 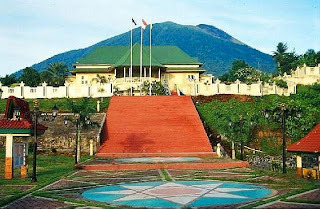 In 1607 the Dutch came back in Ternate where with the help of Ternateans built a fort in Malayo. The island was divided between the two powers: the Spaniards were allied with Tidore and the Dutch with their Ternaten allies. For the Ternaten rulers, the Dutch were a useful, if not particularly welcome, presence that gave them military advantages against Tidore and the Spanish. Particularly under Sultan Hamzah (r. 1627-1648), Ternate expanded its territory and strengthened its control over the periphery. 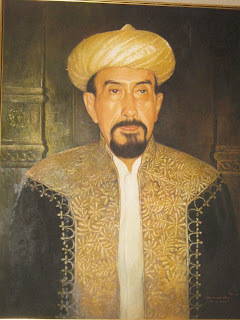 Dutch influence over the kingdom was limited, though Hamzah and his son and successor, Sultan Mandar Syah (r. 1648-1675) did concede some regions to the Dutch East India Company (VOC) in exchange for help controlling rebellions there. The Spaniards abandoned Ternate and Tidore in 1663. In the 18th century Ternate was the site of a VOC governorship, which attempted to control all trade in the northern Moluccas. before being dissolved into that residency in 1922. 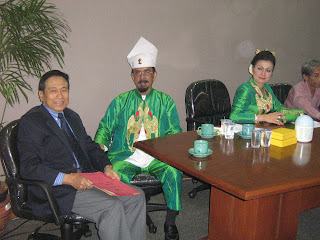 In 1999 and 2000, Ternate suffered from the same religious violence between Muslims and Christians that wracked many parts of Maluku, particularly Ambon and Halmahera. 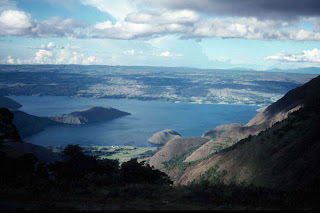 The Toba caldera complex in Northern Sumatra, Indonesia consists of four overlapping volcanic craters that adjoin the Sumatran "volcanic front". The youngest and fourth caldera is the world’s largest Quarternary caldera (100 by 30 kilometers) and intercepts the three older calderas. An estimate of 2500-3000 cubic kilometers of dense-rock equivalent pyroclastic material, nicknamed the Youngest Toba tuff, was blasted from the youngest caldera during one of the largest single eruptions in geologic history. Following the "Youngest Toba tuff eruption", a typical resurgent dome formed within the new caldera, joining two half-domes separated by a longitudinal graben. 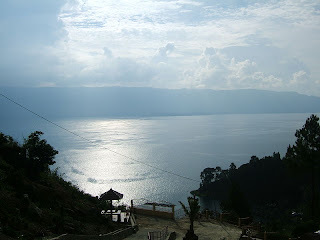 Most of the people who live around Lake Toba are ethnically Bataks. Traditional Batak houses are noted for their distinctive roofs (which curve upwards at each end, as a boat's hull does) and their colorful decor. 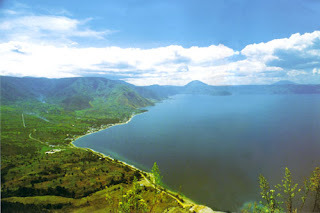 Lake Toba offers a nurturing environment for fish such as the tilapia mossambica, aplocheilus pachax, lebistes reticulatus, osphronemus goramy, trichogaster trichopterus, channa striata, chana gachua, clarias batrachus, clarias nieuhofi, clarias. sp., nemachilus fasciatus, cyprinus carpio, puntius javanicus, puntius binotatus, osteochilus nasselti, lissochilus sp., labeobarbus sora, and rasbora sp. 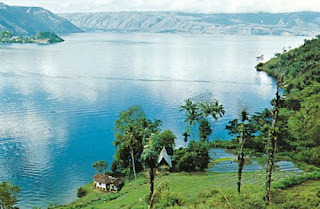 Many other types of plants and animals live within the boundaries of Lake Toba. Flora organisms include various types of phytoplankton, emerged macrophytes, floating macrophytes, and submerged macrophytes. Fauna include several variations of zooplankton and benthos. The island of Lombok nestled in the West Nusa Tenggara province of Indonesia, falls to the East of Bali Island and due to its increasing popularity, Lombok is now becoming easier to access for tourists either by air or by sea. Lombok with its equatorial climate and colorful multi-ethnic cultural ambience and a wide variety of tourist sites and attractions nowadays is becoming a better choice for a holiday getaway compared to the other regular choices of tourist destinations. 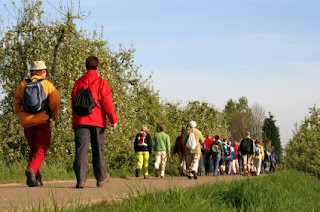 Tourism in Lombok as one whole agency serves its guests to make their stay in Lombok a memorable affair. If you want to reach Lombok by air then the flights operating for this purpose are Merpati, Air Mark, Lion Air, Garuda, Silk Air, and the airport at your service are Selaparang Airport. 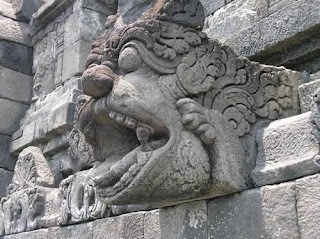 These flights mostly operate from Mataram, Sumbawa, Surabaya, Jakarta and Yogyakarta, and the nearby hotels are Hotel Lombok, Raya, Mataram, Hotel Shahid Legi, Mataram. 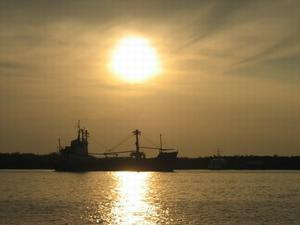 In case of reaching Lombok by sea one can comfortably avail of the ferry rides operating from Lombok’s Lembar Harbor. The other regular ferries operate between Poto, Tano, Sumbawa, and Labuhan Lombok while the Modern passenger catamarans render a faster service from Bali. Mabua Express operates regularly between Benoa and Lembar harbor, while Bounty Cruises travel between Benoa Harbor, Senggigi and Gili Meno. 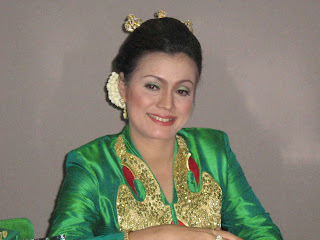 One can contact Pelni agency for bookings on boat rides in Indonesia and Lombok etc. 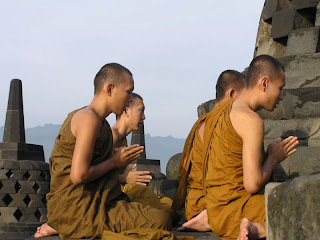 The various tourist sites in Lombok consist of Senggigi, Gili Islands, Rinjani National Park, Kuta & South Lombok, Mataram, Tetabatu, Sukarara, Penujak, Kuta Lombok. 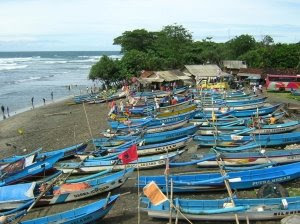 - Senggigi the most developed area for promotion of tourism draws a good comparison with Bali’s Kuta, and set over numerous glamorous bays, this place offers its guests with the right ingredients of restaurants, bars, discotheques, and grand hotel accommodations for tourists to stay. 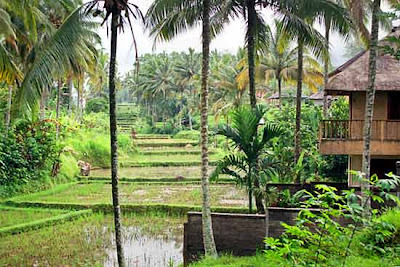 Normally one finds all sorts of accommodation facilities in Senggigi starting from 5 star hotels to cheap and budget hotels. 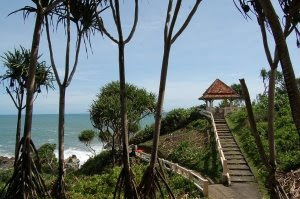 Few of the prominent names in this realm are, The Mascot Beach Cottages, Raja’s Bungalows, Ray Hotel, Sonya Homestay, Lina Hotel, Hotel Elen, Batu Bolong Cottages, Atithi Sanggraha Beach Bungalows and lastly Pondok Stiti Hawa. These hotels mostly offer you with the regular amenities and room facilities Inclusive of all these most of these hotels come with restaurants serving the best international cuisine and also the regular local gourmets. Not only international cuisine, Senggigi equally specializes in restaurants offering local delectable. - Gili Islands being a popular destination in Indonesia is located to the northwestern part of Lombok features 3 mini coral-fringed islands namely Gili Air, Gili Meno, and Gili Trawangan. All these islands have splendid white sandy beaches, clear water and coral reefs displaying the playful colored fishes as a key source of attraction. 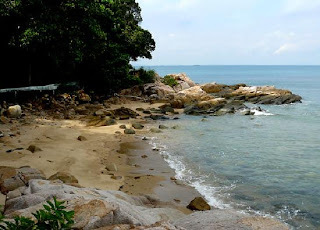 They are just the perfect place for snorkeling and trying out other ventures and sports. Gili Trawangan being the largest among the 3 islands boasts of the most number of visitors and is reputed as the party island. Each island has shops, hotels and similar agencies to help you go for money change. 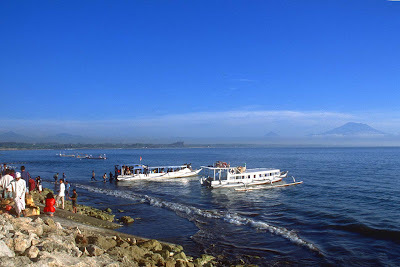 The travel agency of Perama has its branch in Gili Trawangan and has minor outlets in Gili Air and Gili Meno. These islands have failed to initiate the facilities of police and patrolling. 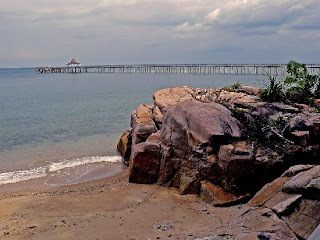 Crime reporting is made either in the Island of Kepala or in the police station of the mainland. 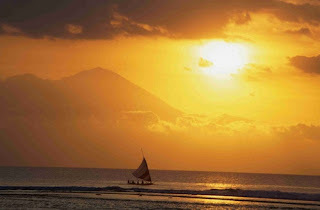 The southwest hills of Trawangan offer a nice spot for sunset viewing, and Gili Meno’s Bird Park is for bird watchers. In Gili Trawangan you can try out the Blue Marlin agency & in Gili Air you can approach the Reefseekers. - Rinjani National Park in the Mt Rinjani is a part of the forested slopes on Rinjani which is also the second largest volcano peak in Indonesia. 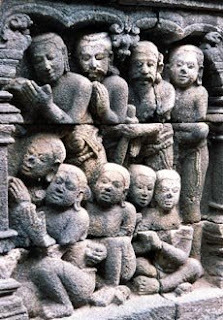 The locals of Lombok mostly treat the volcanic site as a sacred place and Segara Anak is considered to be a pilgrimage and the hot springs here are famous. 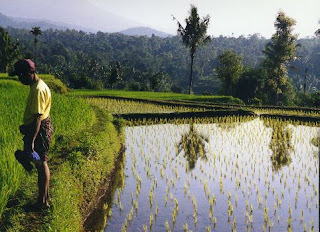 Around 20 villages surround Rinjani National Park while Senaru and Sembalun provide the main access to the national park from north and east. The community based activities are focused on the Rinjani trek center as it personifies the partnership of the national park, tourism industry, and the local communities amalgamated so as to maintain and protect the Rinjani environment. 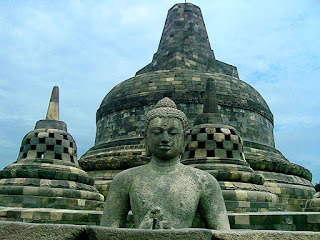 For bookings and information one can check out the travel agencies in Lombok. 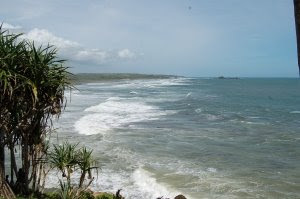 - Kuta Beach displays a splendid show of white sand and turquoise sea, and is still an under developed region despite the plans for 5star hotels and resorts. 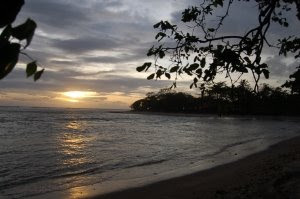 This beach mostly comes alive with Nyale fishing festival in February and March and August as well, and it remains quiet and marooned the rest of the year. 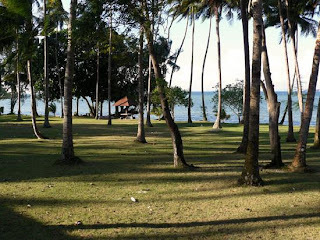 Several hotels like Kuta Indah Hotel and Segara Anak Cottages provide with money changing facilities. 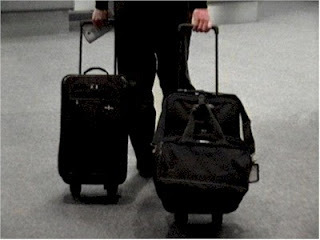 Regarding budget hotels it’s customary to consider the safety and privacy issues. Share a nice leisurely time with your family as you go for surfing activities in the beaches of Kuta. In the postal agency of Wisma Segara Anak you can also book your tickets for Perama Shuttle Buses. 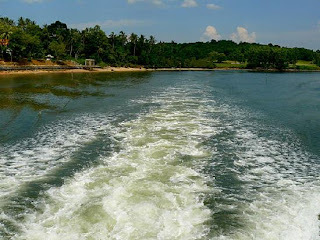 For accommodations, check out the best hotels in the island like, Segara Anak, Anda Cottages, Sekar Kuning Bungalows, Putri Mandalika Homestay, Lamancha Homestay, MatahariInn. 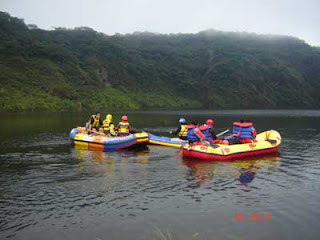 These hotels mostly provide the regular rooming and lodging facilities and in certain cases one can bargain for discount prices. You can try out the Rinjani Agung Beach Bungalows and Café Riviera for local cuisine and good quality sea food. Few other hotels in Kuta are, The Novotel Coralia, Tastura Boutique Resort, Kuta Indah Hotel and Restaurant, Cockato Kuta-Bungalows and Restaurants, Pondok Sekar Kuning Cottages & Restaurants. 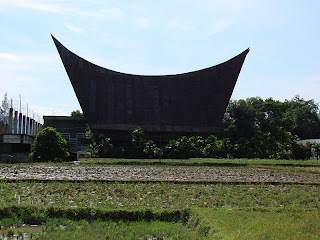 - Mataram in Lombok is the first town in the real sense of the term, which displays a tint of heavy traffic and is simultaneously an open city with lots of space. You can arrive at Mataram through Tiara Mas bus services dropping you off at Mandalika terminal for the rest of the journey you can avail of the Bemo. The hotels like Shanti Puri (JI make accommodation in Mataram easy. Maktal), JI Pancha Usha and JI Pejanggik. You will get post offices and Banks etc in Ampenan and Mataram. The banks of BCA Bank and Bank Danamon have branches on JI. Sriwijiya. You will find cheap Internet services at JI. 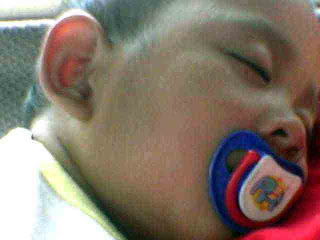 Pancha Usaha. Mataram Mall is a large supermarket to go shopping. 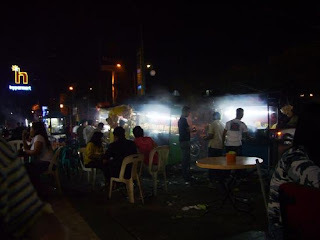 The Suharti Sate House on JI provides the taste of the land as you look for a place to eat. 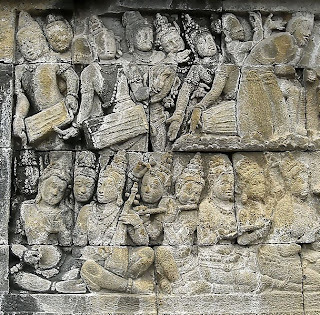 A bemo ride around the city is the best way of domestic conveyance in Mataram. 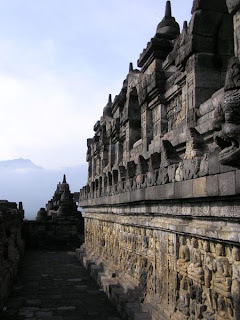 - Tetebatu in Lombok is a town on the lower slopes of Mt Rinjani. Once you are headed from Mataram to JI. Penjanggik to Pomotong and finally a drive to Rungkang and Kotaraja and you are in Tetebatu. While in Tetebatu one need not look too much for accommodation as the hotels like, Soedjono, and Green Orry provide you with the best of the rooming amenities and grand restaurants, great food and the extra perks like swimming pool and superiorly spacious rooms. The restaurant in Soedjono offering quality food is always at your service as food service in Tetebatu is limited. 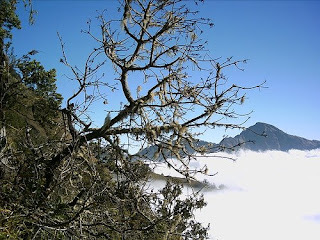 Senaru on the Northern of Rinjani is a more popular base for trekking. 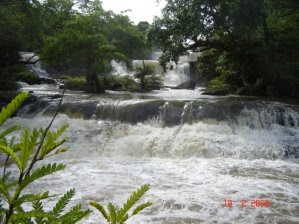 The other attraction in Tetebatu is Air Tejun Jukat, which is a large waterfall. 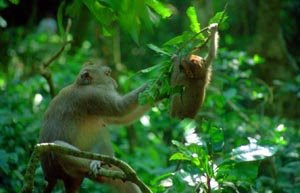 Tobacco hanging and drying houses and the ‘monkey forest’ are other two major attractions in the area. - Sukarara the home to Ikat weaving on Lombok has more traditional plain chequered styles being over thrown by more gorgeous creations. To get to Sukarara, one has to drive towards southeast out of Mataram along Jl. Tgh Faisal and drive up to Praya. About 2km before Praya is the small town of Payung. Drive up to the middle of the town and continue until you reach Sukarara. 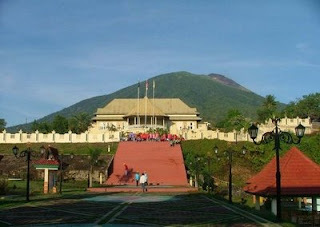 - Penujak is an important center of Lombok. To go to Penujak drive southeast out of Mataram along Jl. Tgh Faisal and drive up to Praya. At Praya drive through Batujai, and across the large steel bridge you can reach in to Penujak. 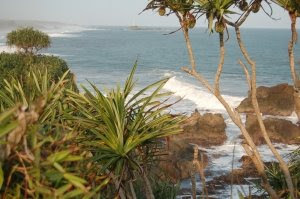 - Kuta Lombok, about 60km south east of Mataram on the coast is a sleepy surfing resort. To get here, again drive southeast of Mataram along Jl. Tgh Faisal and off to Praya and drive through Penujak. The trip shouldn't take much more than an hour as the road is in excellent condition. A number of resorts along the beach offer bungalow style accommodation and more spacious rooms. Anda Cottages and Restaurant has a peaceful garden setting and clean rooms to offer. The restaurant has a good selection local and international cuisine and serves splendid pizza. 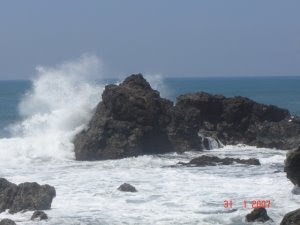 The main beach at Kuta is nice place to be during a high tide. 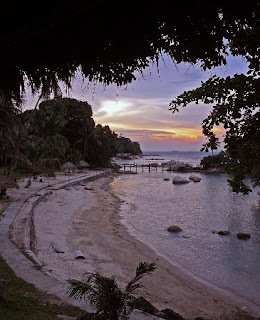 The best beaches are near Mawan and Selong Blanak, to get there you need your own car or rent a motorbike. One can take a drive by the loop road through Mawai, Keling, Mangkung, Sengkol and back to Kuta. Despite the road being rough and steep at places. Finally in while in Lombok, one shouldn’t miss out on the interesting artifacts featured in the Museum Nusa Tenggara Barat, Mayura Water Palace and Pura Meru making your Lombok trips a memorable affair.